#GivingTuesday, Annual Winter Fundraiser and More! 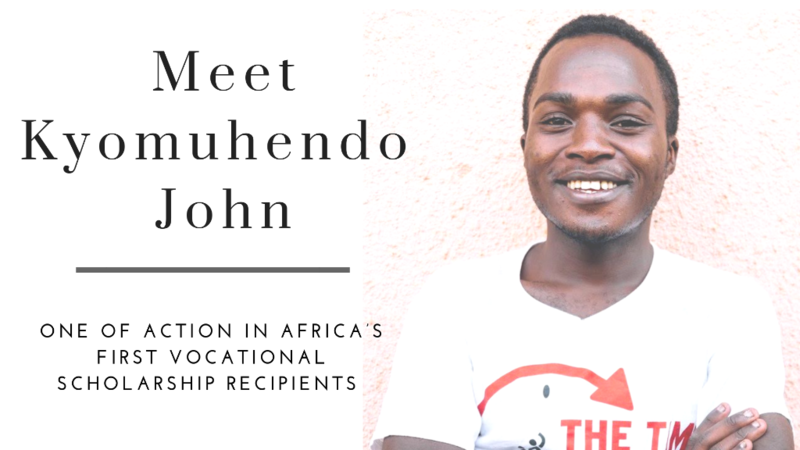 In the spirit of #GivingTuesday, we have an anonymous donor who will match all donations made to Action in Africa for this campaign (up to $10,000). All the money raised will go to support our 2019 high school scholarship program. 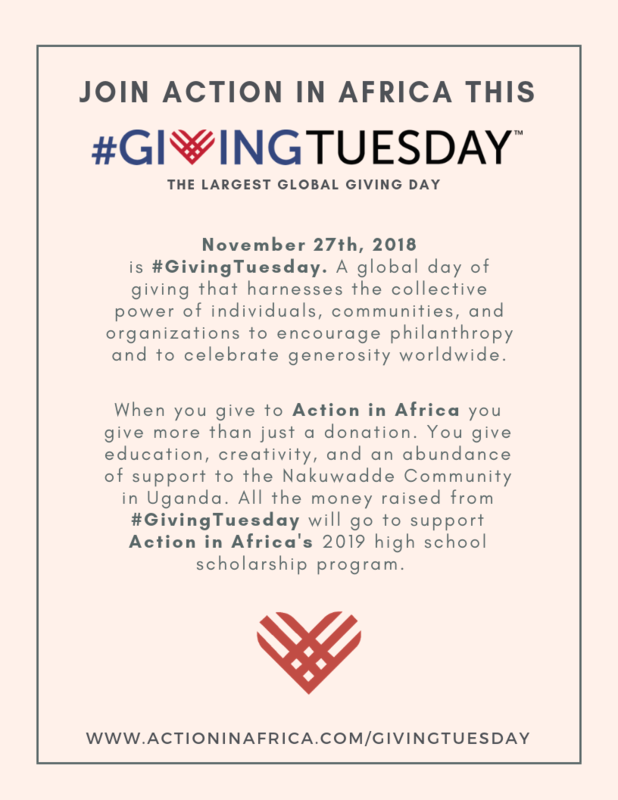 Kick off #GivingTuesday early and give today! 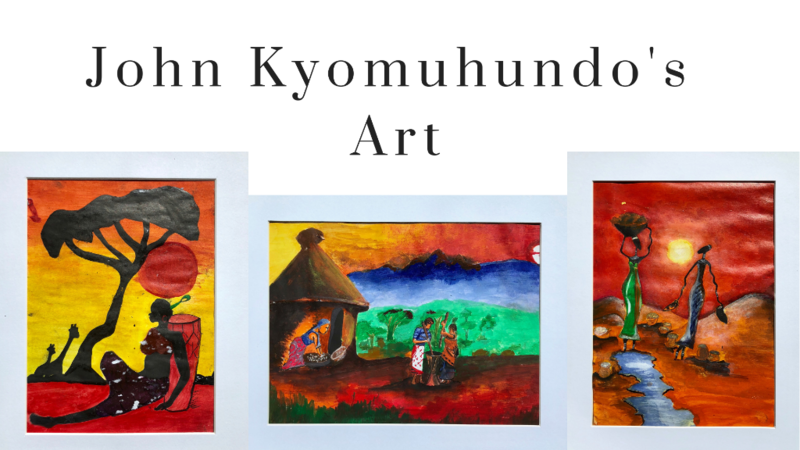 We are so excited to announce that we have restocked John Kyomuhondo's artwork on our website. Last time we sold every single painting in under 24 hours so make sure you buy one while they last! 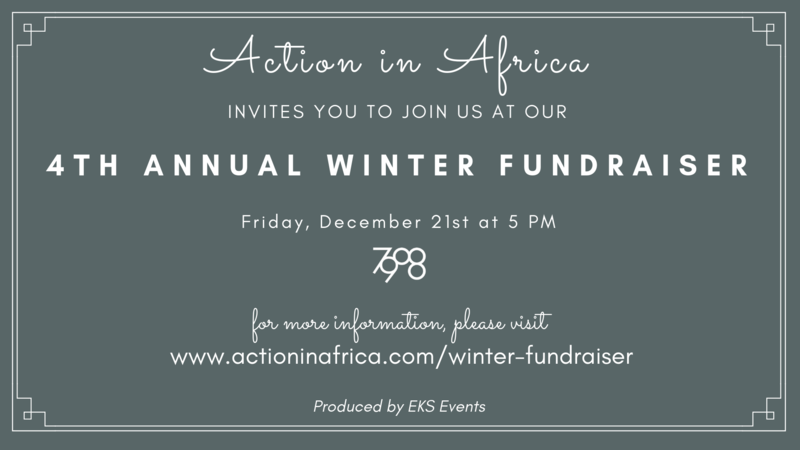 Eager to purchase your tickets to Action in Africa's 4th Annual Winter Fundraiser?! We have made a handful of Early Bird tickets available and will then release event details and remaining tickets on December 1st.